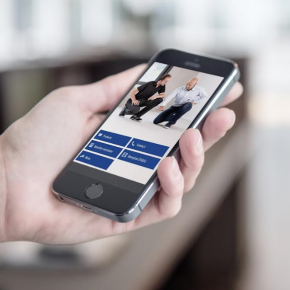 UZIN‘s FREE App for smart phones and tablets is designed to provide advice and guidance regarding flooring specifications, now including the UZIN recommended adhesive guide. This guide features adhesive recommendations for a whole host of floor coverings from leading manufacturers. The UZIN Floor Navigator will help you specify the correct UZIN products for your flooring projects; simply select the type of subfloor and type of floor covering and it will then recommend what products to use. These instructions can be saved or sent via e-mail as a PDF file. You can also find UZIN product data sheets and helpful videos. Visit www.uzin.co.uk to download the FREE App, where more information can also be accessed.